Where Will Tesla Get Its Lithium Supply? Where will Tesla get 25,000 tonnes of lithium hydroxide per year to support an ambitious plan to build 500,000 electric vehicles per year by 2018? Momentum continues unabated in the lithium space as the race heats up to supply the expanding lithium-ion battery sector, which is expected to drive demand in the coming years. All eyes remain on Tesla Motors (NASDAQ: TSLA) as investors watch to see where the US electric vehicle maker gets the raw material (lithium, graphite, cobalt, nickel and other metals) it needs to support the production of battery packs at a Nevada “gigafactory’ that it is building with partner Panasonic Corp. According to estimates by Benchmark Mineral Intelligence, Tesla will need 25,000 tonnes of lithium hydroxide per year to support an ambitious plan to build 500,000 electric vehicles per year by 2018. But given that that United States produces under 1,000 tonnes of lithium hydroxide annually from just one mine–the Silver Peak in Nevada–the market is watching closely for further announcements. “No one really knows where they will get their supply from,” said Michael Sweatman, a Vancouver-based mining executive. Tesla has already signed offtake agreements with two Canadian companies who are hoping to produce lithium in the future. Both are still years away from being in production. 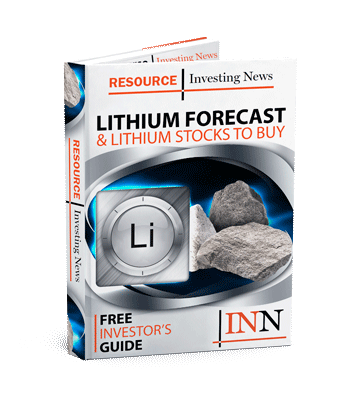 In a report last year, Stormcrow Capital analyst John Hykawy estimated that the major producers (Chinese miners collectively) FMC, Albermarle Corp., Sociedad Quimica y Minera de Chile (SQM), and Sichuan Tianqi Lithium Industries have the capacity to produce 235,223 tonnes of Lithium Carbonate Equivalent (LCE) per year. But he said the ability of the large producers to ramp up supply is constrained by a number of factors, including logistics, grade, and geopolitics. The Chilean government declared lithium to be a strategic material years ago and its National Lithium Commission continues to struggle with policy issues related to the status of both existing and future licenses to harvest lithium, Hykawy said. With respect to grade, the hard rock (spodumene) Greenbushes mine in Australia, now owned by Sichuan Tianqi and Albemarle (NYSE:ALB), is the source of the majority of lithium currently produced each year. But few deposits of lithium-bearing minerals can match the high-grade ore that is available at Greenbushes. However, if and when the company reaches its 500,000 unit electric vehicle sales target, Tesla’s auto division alone will account for the equivalent of 16 percent of global lithium consumption in 2015, Macquarie said. Hykawy has said he doubts that incumbent producers will be able to meet the expected growth in demand on their own without the help of companies in the junior mining sector. Securities Disclosure: I, Peter Kennedy, hold no direct investment interest in any company mentioned in this article. I believe you answered your question! “Tesla has already signed offtake agreements with two Canadian companies who are hoping to produce lithium in the future. Both are still years away from being in production.” This is not the case for Canada Lithium located in LaCorne, Quebec. The mill is completed and ready for production. But is it considered a ‘chinese’ mine?